Sign up for Broadjam today to follow Shelter Belt, and be notified when they upload new stuff or update their news! 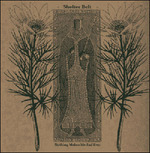 Our latest record, listen to it here, or see us live! Out first effort - now out of print. 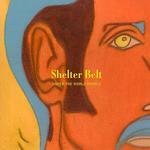 LP #2:<br/><br/> Katie Piepel of the Iowa State Daily (Ames, IA) writes:<br/> "Shelter Belt has done something brilliant. Transforming itself into a magnitude of musical genres from one song to the next, the band will never bore you on its latest, "Rain Home." The reasons behind this are solid ones. 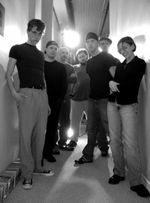 The fact that the seven members of the electro-pop band often swap lead vocals and instruments, never staying consistent on who gets what, keeps the creativity alive. Playing around with electronics (ranging from guitars to chimes), screaming brass sections and unpredictable string arrangements, Shelter Belt will keep you on your toes. "Rain Home" is as original and diverse as they come."